Recent polling shows that over 70% of Americans support wind energy; yet the small number of wind energy opponents can be loud. Very loud, in fact. One way those anti-wind activists attack this American industry is by overstating how much sound wind turbines make. The frequency with which turbine sound is used as a talking point against wind farms is deafening; but the issue has a lot more depth than can be explained in a sound byte. Anti-wind activists use this confusion to press for wind farm bans that are disguised as regulation. Their intention is to regulate wind energy, right out of existence. 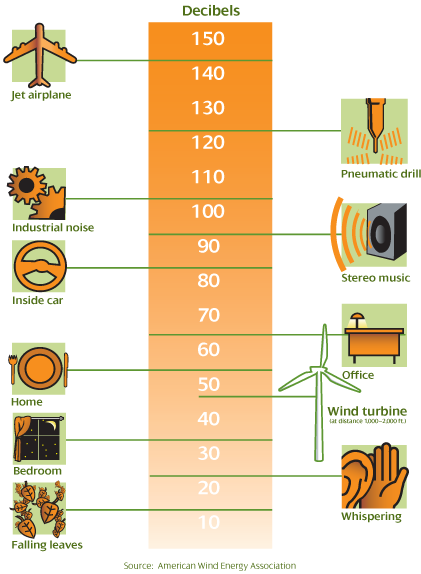 Generally, wind turbines have been compared to refrigerators in terms of their relative sound level. That comparison is based on a distance between a listener and turbine of about 1,300 feet. 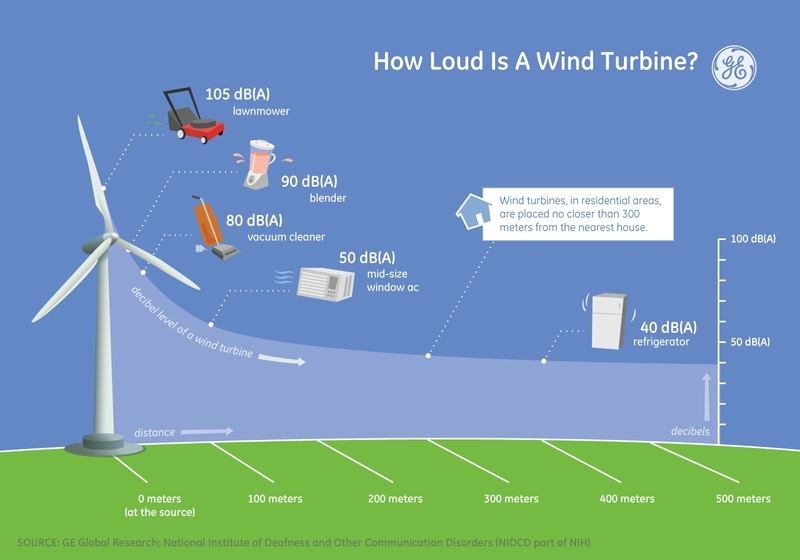 Turbine sound may average out to be about 40 decibels, but will be higher when wind speeds pick up, and lower when wind speeds drop. In some instances, the sound of a wind turbine can be obscured by background noises – or sounds that are normally occurring. For example, the wind itself can be quite noisy. A study published in 2011 found that as the wind speeds pick up, so does the ambient noise level. Sound levels of winds at approximately 7 miles per hour are rated at about 36 decibels, while wind speeds of 26 miles per hour can clock in at about 54 decibels. Other background sounds that can obscure the total sound of a wind turbine include speech, rainfall, crickets, birds, refrigerators, dishwashers, cars, boats and aircrafts flying overhead. The closer a listener is to a sound, the louder that sound will be perceived, and the same is true with wind turbines. But when compared to the rest of background sounds, wind turbines aren’t especially loud or annoying. In an effort to quantify the subjectivity of sound, the United States Environmental Protection Agency (EPA) identified ”level of noise requisite to protect public health and welfare with an adequate margin of safety.” The EPA has found that a level of 70 decibels, experienced for 24 hours a day is protective of human hearing. Individual sounds, or “peaks”, may not cause hearing damage, so long as the average sound experienced over a day are below 70 decibels. According to the EPA, sound levels at 55 decibels outside and 45 decibels inside are unlikely to cause annoyance. Even with the science behind these figures,the EPA’s evaluations of sound “do not constitute Agency regulations or standards” are are simply voluntary suggestions. 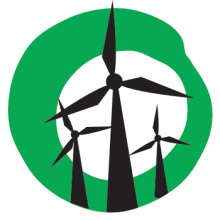 Nevertheless, many municipalities and counties across the country have established siting regulation for wind farms based on the EPA’s 55 decibels outdoors limit to prevent annoyance. Anti-wind activists will frequently present their agenda as mild-mannered and innocuous, focusing only on sound decibel levels. A quick and easy way to determine a regulation’s true intention is to see if the decibel limit is based off the EPA’s suggestion, or is some sound level that is potentially lower than existing background sounds. For example, if a proposed regulation is below 45 decibels (the EPA level for indoor noise), it likely that the proposing regulator is not interested in permitting wind farm development, but is instead aiming to ban entirely by regulation. Regardless of the direct decibel level, there are other ways to ban by regulation using sound. For example, if the proposed regulation maintains a 55 decibel limit but offers no clarification on how to measure that sound level (instantaneously, or averaged), from where (the property line or an occupied building), by whom (a corresponding agency should conduct the test instead of citizen scientists), or establish background sound levels for different areas, there can be enough regulatory uncertainty to scare off private investment or invite activist-led lawsuits. Perhaps another way to determine a bureaucrat’s intent is to evaluate if he or she would be interested in proposing similar regulation for other power plants, infrastructure or industries or sound ordinances that might ban the use of cars, air conditioners, church bells or televisions. Sensible regulations regarding wind turbine siting can afford a level of protection for nearby residents while allowing responsible wind energy development. Some states, like Washington and Wisconsin, have sensible regulations regarding wind turbines and sound levels. By working with residents, scientists and wind farm developers, policy makers and regulators can craft smart rules to protect all parties involved. But not if anti-wind activists drown out positive policies and turn a deaf ear to sensible voices.